There's no question Johnny Jewel had an immense impact on the sonic remapping of David Lynch's Twin Peaks revival. Not only was his music used repeatedly in the series, but Jewel appeared on the show as well. He even released the pseudo Twin Peaks soundtrack Windswept — a collection he's now greatly expanded on with the sister album, Themes for Television. Jewel reportedly composed some 20 hours of music for Twin Peaks: The Return, so it makes more than a little sense that the Italians Do It Better head would have a lot of leftovers that never made it onto 2017's Windswept or the show itself. 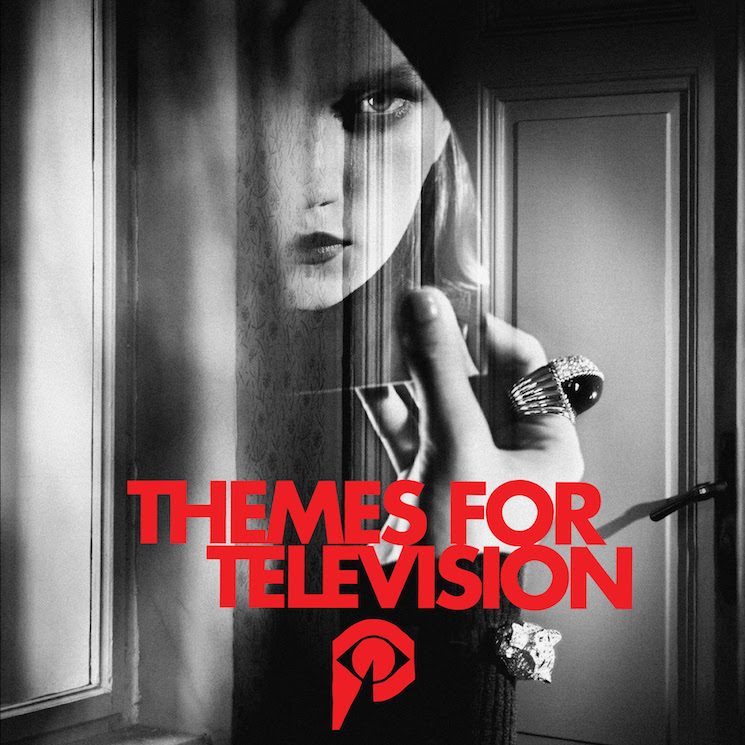 And so Themes for Television serves as part soundtrack, part studio album, part demos comp and yet none of those things. Jewel captured the 56 minutes and 21 tracks of Themes for Television during a prolific streak last winter in Tokyo. Without viewing any footage of The Return, he used only his imagination to craft the songs that would make up the new Twin Peaks musical companion, and the results are striking, to say the least. For those fans who paid close attention to The Return and Windswept, they will hear several familiar sonic threads on Themes for Television, almost like ghosts resurfacing from some recent but almost forgotten past. For example, we now get a "minimal" edit of "Windswept," a stripped-bare version of the vocal-led "Saturday" as "Saturday (Evening)" and Chromatics' "Shadow" now turned into the minimal synth-drone beauty "Shadow (Opening Titles)." But it's often Themes for Television's more alien, unfamiliar elements — of which there are many — that are the true highlights, effectively allowing the collection stand on its own as a fully realized work. Despite still channelling cinematic synth pioneers like John Carpenter and Angelo Badalamenti, Johnny Jewel proves he is a master of mood in his own right, as his knack for melodic earworms and ethereal synthwork blend seamlessly into darker, more nightmarish realms of electronic ambience. In a sense, Themes for Television works as the perfect translational piece between Windswept and the much lighter, more traditionally ambient followup Digital Rain, despite actually arriving in the wake of the latter. "The project began as a sonic exploration of the sounds I was hearing in my nightmares," Jewel said upon the release of Themes for Television. "I wanted to find my way out of the maze by focusing on beauty over fear — like the way the fractured sunrise looks in a dream."